Cells are the building blocks of life and diversify in amazing ways to create every form of living thing. This authoritative guide covers the basics of what a cell is and how cells reproduce and change in order to form different life forms and perform specialized functions. It also covers how scientists have learned to manipulate and regenerate cells, leading to advances in medicine. 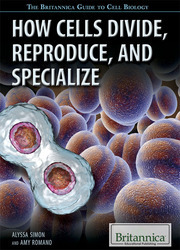 The controversy surrounding cloning technology is discussed, as is the exciting future of cytology and cell biology. The most likely future frontiers of innovation and discovery are outlined in enthralling detail.